« Want to chat with pinball designers? 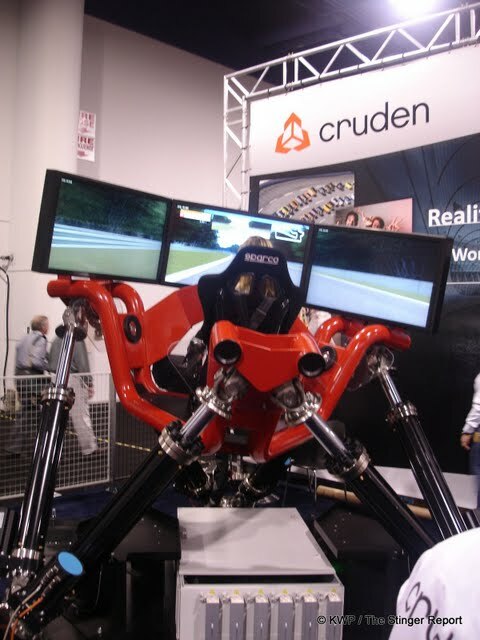 If you aren’t happy with the driving experience that a run o’ the mill arcade driver gives you then there are companies which address that, with crazy setups like we see by Cruden. They had one of these at IAAPA, which I only watched from the sidelines, but it was quite impressive. Little did I realize that these setups are used by both professional drivers and engineers for virtual training but where it was being shown at IAAPA, obviously the company had a desire to move the simulator into the amusement sector. Now they have accomplished just that, with at least at one location in the UK known as the Weston–Super–Mare Grand Pier installing two units to play. The units are known as the Hexatech 3CTR interactive race simulator and this is the first installation of such machines for use by the public. The article that Kevin sent us doesn’t mention what the price will be to play one of these (if you are in the area it’s probably best to save up, just in case). It is also mentioned that to keep things fresh, there are a variety of options on the table for the pier to add extras to the simulators, from “fitting car bodywork or mounting actual vehicles to a motion platform”; as well as upgrades to the software for different kinds of cars and tracks. This entry was posted on July 17, 2010 at 4:38 pm and is filed under Arcade Games. You can subscribe via RSS 2.0 feed to this post's comments.